The Vanlife App is a community-oriented, one-stop-shop for all things vanlife, dedicated to helping our community thrive by providing all the resources needed to fulfill your life’s desires while on the road or planning to get on the road. EXPLORE our database for free camping, paid camping, water, power, toilets, showers, and more. Find relevant information in the descriptions and reviews regarding cellular service, wifi, cleanliness, and amenities. Add places, reviews, and resources to help our community thrive. With user generated resources and reviews for an outdoor lifestyle, TOGETHER, we can build the best resource possible for life on the road. User generated content and reviews with relevant information for your outdoor lifestyle. The Vanlife App is the best resource you can have for an adventure on the road. Get more with The Vanlife App premium subscription. For less than the cost of potable water, find other people around you in real-time, PLUS use the in-app messaging feature to connect and share information. Meet up with like-minded people by finding a nearby gathering to attend or hosting your own! THE VANLIFE APP PREMIUM is available as an annual subscription for $35.99/year, or as a monthly payment of $3.99/month, charged to your iTunes Account at the confirmation of purchase. The each subscription includes a one-time 14 day free trial period. Your subscription will automatically renew unless cancelled at least 24 hours before the end of the current period. Auto-renew can be turned off any time by going to your Account Settings in iTunes after purchase. Thank you for using The Vanlife App! This latest update has some minor improvements and bug fixes, including a new way to give your feedback! When in The Vanlife App shake your phone to prompt a feedback form. If you have any feedback or run into issues, please feel free to contact our team. Don’t get me wrong, I like so many others, was super excited for this app to launch but everything about it rubs me the wrong way (mostly around poor data sharing standards). Let’s start from the beginning. Why do I HAVE to share the info of my travel vehicle down to if I’m full time, make/model, and 4x4 or not? That should be optional and I don’t see the value other than giving the creators and others something to instantly judge you on in your profile. Why do I HAVE to use my Instagram to signup/login? Again, this should be an optional profile bypass (like Gmail for other applications) but I should at least have the option to create separate credentials if I want to. Again, don’t see the value other than giving the creators and others to judge me by my social profile. Why do I HAVE to share my location in order for anything to work? If I want to take the extra time to find where I am on the Google map and see what resources are around me, that should be an option. Why do I HAVE to pay to be able to see those around me (the only value prop from other free apps)? It feels like I’m buying my way into Van Greek life and is so anti vanlife community, especially for those trying to spend less on the road. The idea was there, execution will unfortunately prevent me from using and paying for this app. The VanLife App is an incredible tool, taking the most basic travel/camping apps and expanding on them. 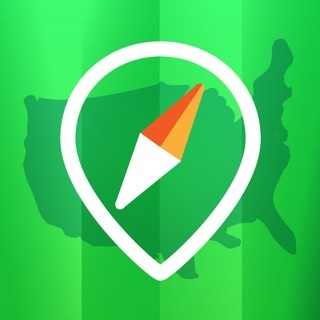 This isn’t an app to find a campsite, it’s a connection to the nomadic community we love. The ability to connect with others and share experiences on the road is going to change the way we travel. While providing resources like bathroom spots, dump stations, campgrounds, water fills, laundromats and so much more, this app is a one stop shop for anyone on the road. Thanks to the team behind this project for providing us with a tool that we can truly use! Finally, an app that solves the need of connecting with others in their vans. In the past we would miss others in our area because we didn’t know they were there until days later. We can now host events, share our location so that we can join others in our proximity when we want and locate campsites or spots to complete our van chores. This app really feels like it’s invested in the Vanlife community and shares values that will improve all of those that are in it.